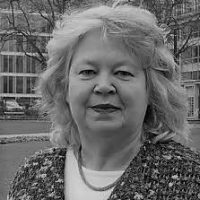 Jean Lambert is a Greens/EFA MEP from the UK, serving since 1999. From working time reduction and circular economy to basic income, the right choices could make the future of work fair and secure for all. An interview with Jean Lambert, MEP for the United Kingdom. W mijającej kadencji Europarlamentu Zieloni odgrywali istotną rolę w podnoszeniu świadomości dramatycznych społecznych konsekwencji polityki cięć i zaciskania pasa. Co udało się im osiągnąć? Rozmowa z Jean Lambert, europosłanką z Wielkiej Brytanii. The European Union has always been a project that marries differing perspectives – the pursuit of peace and borders open to people, goods and ideas. However the steady evolution of this project has been disrupted by the economic crisis, which has led to a rise of xenophobic, nationalist thoughts. For Jean Lambert, Europe must now confront the idea of ‘us’ versus ‘them’ that exists and work towards creating a truly hospitable EU. The reasons for staying in the EU are clear: the Union is good for the environment and good for business, despite what the Tories may claim.